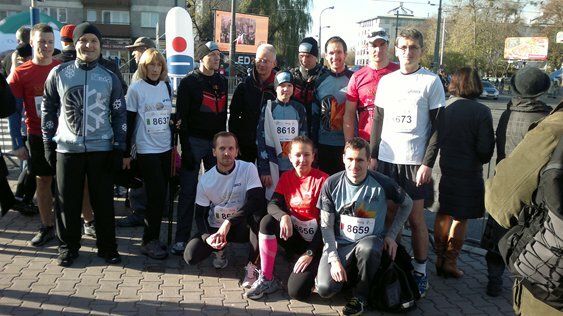 The EDC Runners Team took to the beautiful streets of radiant Warsaw on a magnificent November 11th, Poland’s Independence Day. The unseasonably bright, yet delightful, effulgent sun, showered runners and spectators alike with a glimmering aura that made the city – buildings, monuments, and all that is contained in the lively mass that we call the Capital – come to life to glorify this celebration of life, love, freedom, and the human spirit. Fifty-six runners from the EDC ran as well.